MOUNT LAUREL, N.J. (WPVI) -- With the arrival of spring, warmer weather is on the way and so are thoughts of cool treats. Right at the top of the list is ice cream. But sometimes you don't want the hassle of getting out of your car to order it, right? Well, Friendly's is trying to fix that problem. The restaurant chain has just opened its first drive-thru in New Jersey. The drive-thru is located at the Friendly's on Route 38 in Mount Laurel, New Jersey. The history-making drive-thru was announced on the restaurant's official Twitter account: "Congrats to our #MountLaurel, NJ location on their new drive-thru! Be sure to drive by for a tasty detour!" Congrats to our #MountLaurel, NJ location on their new drive-thru! Be sure to drive by for a tasty detour! While this is the first Friendly's drive-thru in the area, it is not the first nationwide. 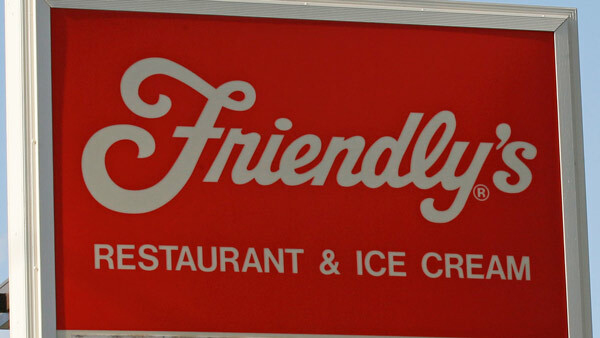 Friendly's began opening drive-thrus in Massachusetts in 2015. There is no word if more Friendly's restaurants in the Philadelphia area are getting drive-thrus. For now, you'll have to go inside to order your ice cream at those locations.